When it comes to building some of the best race engines in the sport, Varner Motorsports has been very, very successful. Getting his start as an engine builder back in 1979 with LOP back in Illinois, Terry worked with a ten man professional race team that included the infamous Marty Moates. In 1980, after Moates won both motos of the 500cc U.S. GP – Varner packed his bags and headed out to Arizona with LOP. In 1983 Varner started working for Cagiva North America helping them build from the ground up. In 1984 he decided to start Varner Racing. He linked up with Gary Denton and spent most of the eighties campaigning the Nationals with Denton and his Quads under the Varner Racing tent. During all of that, Varner became good friends with none other than Don Emler, the FMF kingpin. In 1993 Varner and Emler discussed putting together an in house engine building department. Varner spent many years working with Emler and enjoyed every step of the way. 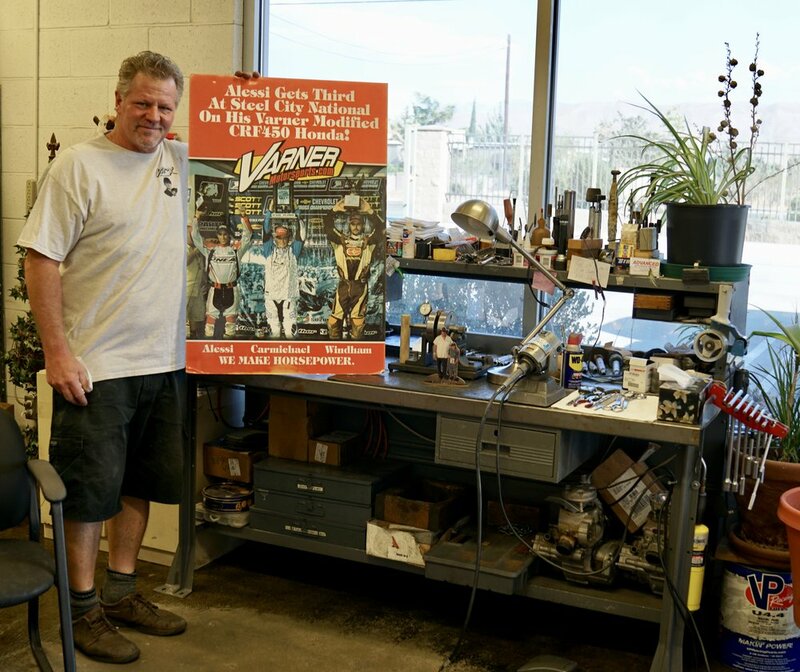 With countless championships on the amateur as well as the professional racing level, FMF has grown tremendously over the years, as has Terry Varner’s reputation for building high quality motors. In 2000 Varner decided to go back out on his own, creating Varner Motorsports. Here Terry is still continuing to master his art of building racing engines. You can find him on a day to day basis doing testing and developing to make the equipment he delivers run on the highest level. When he’s not in the shop you can find him at the local racetracks supporting those racing as well as getting out there and racing for himself every once in a while.